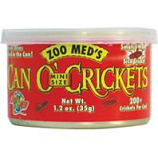 Adult size crickets. 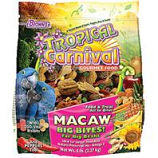 Ideal for most lizards turtles fish birds and small animals. 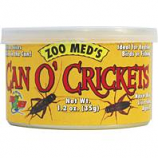 60 crickets per can. . .
Small size crickets. 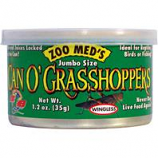 Ideal for most small lizards turtles fish birds and small animals.. Over 200 small crickets per can. 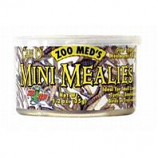 . .
Small size mealworms. 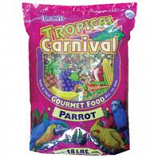 Ideal for most lizards turtles fish birds and small animals. 1500 small worms per can. . . 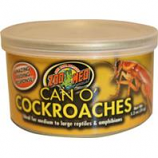 Ideal for medium to large reptiles and amphibians. 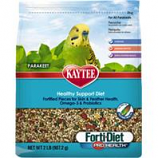 Favorite food source for many reptiles!. Good source of protein and energy. Great for stimulating appetite. 1 inch average length. 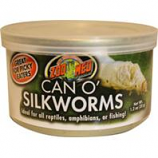 Ideal for all reptiles amphibians or fishing!. Soft bodied for easier digestion. Source of healthy polyunsaturated fat. Source of important essential amino acids. 1 inch average length. Large size grasshoppers. Ideal for large monitors tegus skinks turtles and birds. 20 extra large grasshoppers per can. . .
A vitamin nutrient fortified daily diet a food and treat all in one. 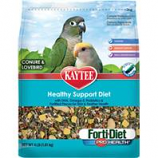 Specially formulated to for large birds daily dietary needs. 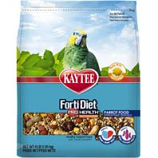 A blend of big crunchy wholesome morsels of right sized fruits veggies nuts seeds grains 7zoo-vital biscuits. . .
A vitamin nutrient fortified daily diet a food and treat all in one. 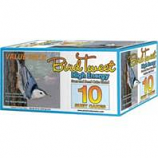 Specially formulated to help small hookbills thrive. 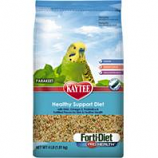 Packed with a mix of fruits nuts vegetables seeds & grains omega fatty acids antioxidants and beneficial bacteria. . .
Goldenfeast - Goldenfeast Bonita Loco - 32 Lb. Goldenfeast - Goldenfeast Caribbean Bounty - 32 Lb. Goldenfeast - Goldenfeast Central American Preservation Blend Ii - 32 Lb. Goldenfeast - Goldenfeast Madagascar Delite - 32 Lb.